CPhA is the leading organization, advocating for the pharmacy profession in the State of California — representing pharmacists in all practice settings. Founded in 1869, CPhA has a long history as the most influential state pharmacy organization in the country. Our government affairs staff in the Center for Advocacy play an active and crucial role in representing the pharmacy profession before the Board of Pharmacy, the State Legislature, the Governor and in the Courts. With constant changes occurring in health care policy, you need someone advocating on your behalf. Every year, thousands of bills are introduced in the California state legislature. CPhA reviews all of these to identify those that will impact pharmacists and the patients you serve, while taking an active role in influencing these laws. CPhA staff is also heavily involved in the regulatory process ensuring that the community pharmacist’s perspective is taken into account by the Board. Whether it is in the halls of the Capitol or testifying before the Board of Pharmacy, CPhA staff is working to move the profession forward and defending against threats to your practice. Provider status and promoting the role of pharmacists in providing patient care remains one of CPhA’s top priorities. CPhA fought hard to pass SB 493 (Ch. 469, 2013) achieving provider status and an expanded the scope of practice for pharmacists in California. The success of SB 493 is something that all pharmacists should be proud of; but we are not done yet. There is still much work to be done and CPhA will see provider status through to ensure that pharmacists can be reimbursed for those services. Learn more about all of CPhA’s provider status activities here. In order to create a system of payment for direct care provided by pharmacists under the authority of SB 493, CPhA successfully sponsored AB 1114 (Ch. 602, 2014), authorizing the Department of Health Care Services to establish a system for pharmacists to bill for services provided to Medi-Cal patients. CPhA staff, working with a committee of pharmacists, have been heavily involved in the implementation phase to ensure billing codes are appropriate. Pharmacists need to be able to focus as much time as possible on providing care to their patients and ensuring the accurate dispensing operations of a pharmacy, while minimizing time spent dealing with health plans and PBM red tape. Prior authorization, step therapy and other utilization controls do have a legitimate purpose in healthcare, but they should not unnecessarily burden pharmacists or serve as a distraction from providing quality, timely care. CPhA is working to eliminate or minimize potentially burdensome impacts on pharmacists, supporting and improving policies that provide efficiencies for pharmacists, and limiting the influence of health plans and PBMs on the practice of pharmacy. Fairness in reimbursement is central to pharmacists’ ability to maintain their practice. No business can stay afloat if they are paid less for products than their own purchase price. Pharmacies should be reimbursed based on transparent formulas and based on the current cost to acquire prescription drugs. The federal government has set standards for pharmacy reimbursement transparency and timeliness of updates for the Medicare program. In 2015, CPhA successfully passed the MAC Transparency law in California. Click here to learn more. Implementation of the federal Affordable Care Act (ACA) has led to a sea change in health care policy. State laws are constantly changing as well. CPhA stays on top of all health care legislation –getting actively involved in dozens of legislative bills each year that have an impact on pharmacists. We advocate for the interests of the pharmacy profession and your patients. In order to continue to improve on the CURES system and work collaboratively with our colleagues in healthcare, CPhA supported legislation which allows emergency room physicians and pharmacists the ability to access information in CURES through an integrated system. AB 40 (Ch. 607, 2016) provides the ability for members of the healthcare team to have the health record of a patient, including a summary of a patient’s opioid prescription history, without taking time away from providing care to manually check CURES, providing efficiencies in emergency departments. The prescription drug abuse problem has also created fear for law-abiding pharmacists and threatened access to necessary medications for legitimate patients. 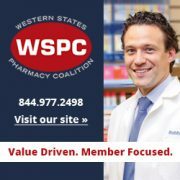 As state and federal authorities clamp down on health care providers who prescribe and dispense controlled substances, we remain actively involved in legislation to protect pharmacists and ensure appropriate access to necessary medications. Given the extent of changes in the health care workplace, and in particular the changes in many clinics, community pharmacies, and hospitals, it is important to prevent unnecessary new workplace regulations and requirements for pharmacists. It’s no secret that the California Legislature has a penchant for passing well-intentioned but ill-advised policies. CPhA has stopped efforts to require all pharmacies to take back controlled substances and for all pharmacies to perform live translations of prescription drug labels into any language. We will continue to advocate for a pharmacy practice that serves patients, but defend against overly burdensome or dangerous proposals. Compounding laws and regulations are constantly changing in California. CPhA takes a proactive role in keeping up with, and advocating for, changes to compounding laws that ultimately lead to increased access to patients who need compounded medications. CPhA also works with the Board of Pharmacy and their staff regarding changes to compounding regulations that will make it more difficult for compounding pharmacists to operate in California, thereby delaying care to those in need. Each year, the State Budget has a big impact on health care. Many state-funded programs face the chopping block on a repeated basis. CPhA, as part of a healthcare coalition has successfully defeated efforts in the legislative and legal arenas to prevent devastating cuts in the already low Medi-Cal provider reimbursements. With provider status and increased participation in clinical services comes increased potential for professional liability claims. CPhA works with other stakeholders in the Capitol to protect pharmacists from unfair laws that only benefit malpractice lawyers and increase health care costs.